In this file photo, musician David Bowie and supermodel Iman attend the DKMS' 5th Annual Gala: Linked Against Leukemia at Cipriani Wall Street on April 28, 2011 in New York City. 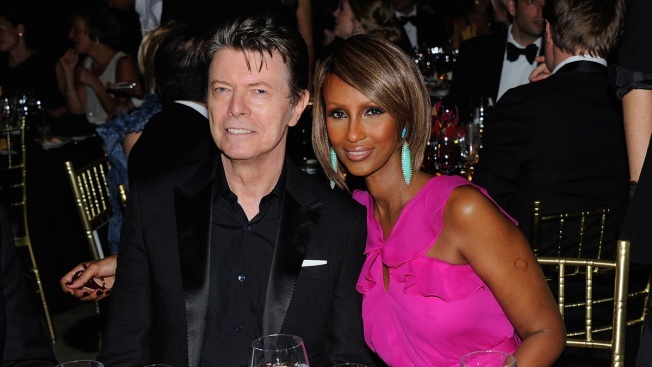 Supermodel Iman has paid tribute to late husband David Bowie on what would have been their 25th wedding anniversary. Iman posted a photo of Bowie kissing her forehead on Twitter on Tuesday. The post included the words, "I would walk forever, just to be in your arms again." She tweeted, "June 6th #BowieForever," with the picture. Bowie and Iman officially married in Switzerland in April 1992, but held a church ceremony in Italy on June 6 of that year. They had one daughter together, who's now 16.